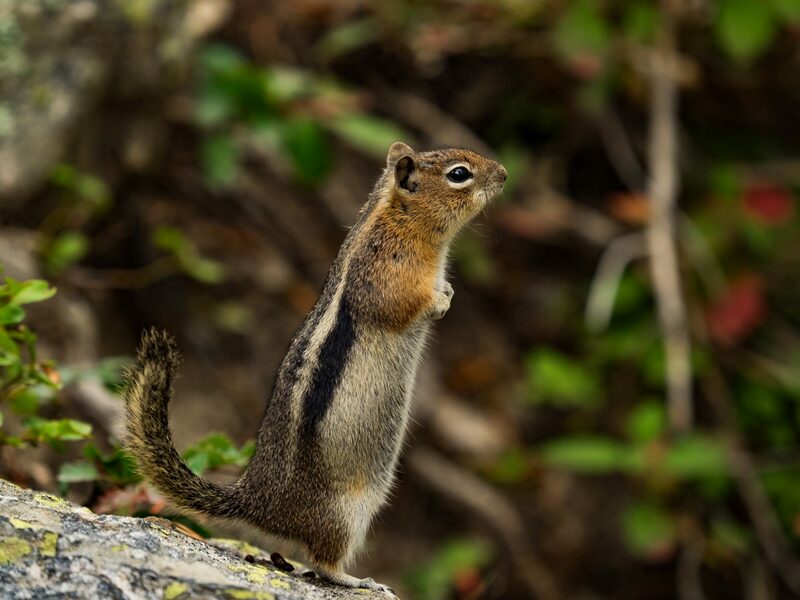 Very commonly mistaken for a chipmunk, this little squirrel does not have stripes around the face. He, like his companions, are not shy and are eager for humans to feed them, although that is not advised. Although he seems to be posing in anticipation for a little snack, I took his portrait and moved along.